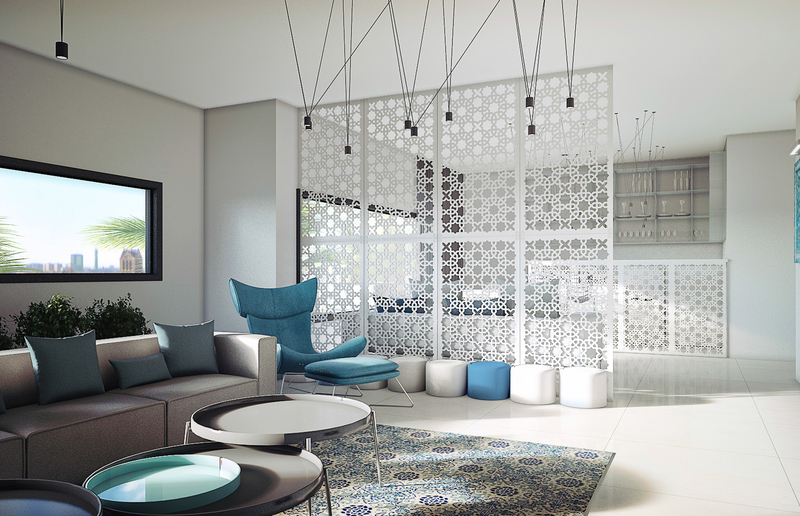 The design approach was to create a minimalist design that had a main center piece. 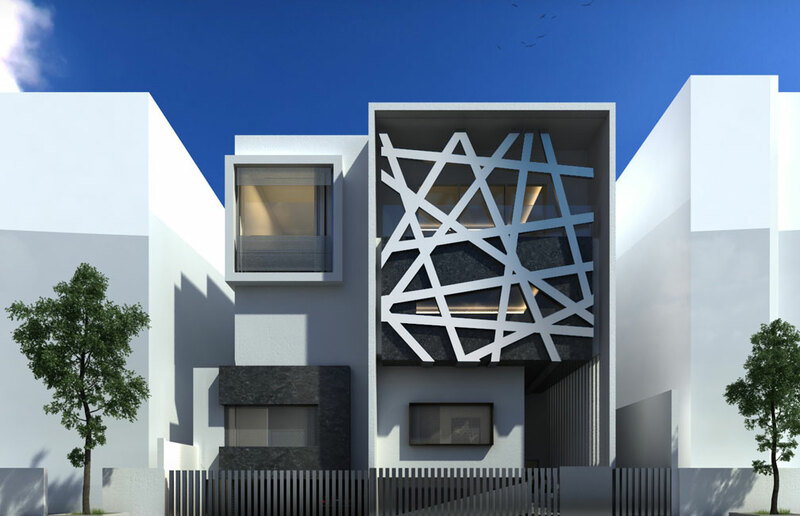 The center piece is the metallic clad angles creating a privacy barrier to the villa whilst creating a unique identity for the villa. 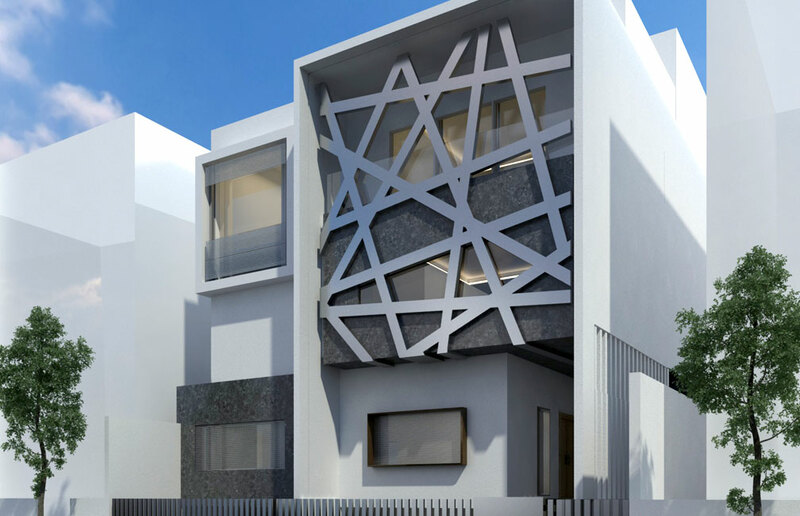 By using simple materials the design allows the façade to draw the eye to the metallic cladding without creating other focal points. The center piece is also framed to create slight shading for the villa as well as creating a private entrance area on the lower level.